Building partnerships based on mutual trust is not only important in private but also in economic life. Business is impossible without good relations to other stakeholders, may they be businesses, consumers or suppliers. SEKEM would not have been possible without long standing partnerships that have been developed over the years to the strong foundations of today. We continue striving to develop reliable and value driven partners. The five associations of SEKEM Friends in Europe were established mainly to support the cultural work of the SEKEM initiative. Most educational and social projects depend on financial support that comes to a big part from the annual profits of SEKEM. 10% of the profits are devoted to the SEKEM Development Foundation underneath which such projects like the Chamomile Children or the Mahad Educational Center are organized. Nonetheless, more funds are needed to keep the cultural activities of the SEKEM Development Association alive. This can happen through financial or in-kind-donations and project proposals for public funds for development aid. Moreover, the SEKEM Friends see their task in building a bridge between Europe and the Egyptian initiative and in promoting the vision of SEKEM. Various events are used to foster an inter-cultural and inter-religious dialog. A special focus lies on young people and exchange programs. The SEKEM Initiative receives ideally and financial support through different channels. 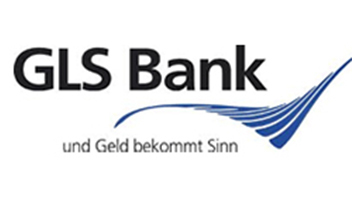 Thanks to long-term relationships with the SEKEM Friends Associations and ethically sound banks SEKEM can realize essential parts of its sustainable development vision. But additional public funds help to realize extensive scientific research and numerous educational projects. While IAP partners are mostly buyers from SEKEM companies, SEKEM also has an extensive network of suppliers. The network of suppliers consists of both the SEKEM companies, as they themselves supply other companies such as LIBRA, SEKEM for Land Reclamation or El-Mizan, as well as for external suppliers. All agricultural suppliers are members of the Egyptian Biodynamic Association. SEKEM provides their suppliers with inputs (such as compost or Biodynamic preparations) and knowledge, and offers pre-financing options seasonally for their activities (on a case by case basis) with a buying guarantee for the pre-financed harvest. SEKEM knows about the importance of these mutually beneficial relationships and tries to nurture them as much as possible. Do you want to invest in SEKEM? The GLS Bank focuses on cultural, social and ecological projects that try to tackle challenges in our society by developing creative solutions. Loans are offered to projects like independent schools and kindergartens, organic farms, institutions using therapeutic pedagogy, nursing homes, projects for the unemployed, health-food stores and communal living projects, as well as sustainable businesses. The European Triodos Bank finances companies, institutions and projects that add cultural value and benefit people and the environment, with the support of depositors and investors who want to encourage corporate social responsibility and a sustainable society. 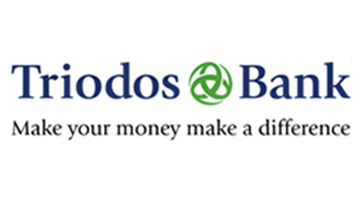 Triodos Bank has won the Financial Times Sustainable Bank of the Year Award in 2009. The mission of Triodos is to make money work for positive social, environmental and cultural change. 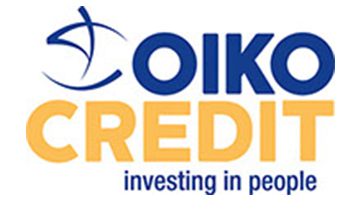 Oikocredit, Ecumenical Development Cooperative Society U.A. is a cooperative society that offers loans or investment capital for micro-finance institutions, co-operatives and small and medium-sized enterprises in developing countries. It is one of the world’s largest private financiers of the micro-finance sector. As a co-operative, Oikocredit finances and invests in fair trade organizations, co-operatives, micro-finance institutions, and small to medium-sized enterprises in 63 developing countries, with the aim of affecting positive social change. DEG is part of the German Development Cooperation. It promotes the private sector as the engine for sustainable growth. 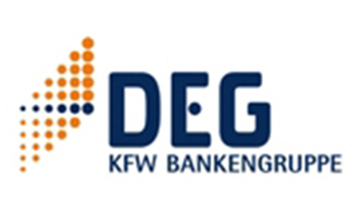 DEG’s corporate bodies are KfW as its majority shareholder, the supervisory board and the management board. DEG has been financing private-sector investments in developing countries since 1962. By promoting private sector development, DEG contributes to the creation of jobs and income and to better living conditions in the partner countries. Demeter-International e. V. is a non profit organization and its member organizations work together in the spirit of an international confederation with democratic principles. Membership requires a functioning Demeter certification program. Associations which acquire such certification and support the objectives of Demeter-International can be elected as associated members. Its basis is the Biodynamic® agriculture method, originated by Rudolf Steiner in his “Agriculture Course” given in Koberwitz in 1924, and developed further in practice and research carried out by likeminded groups. Demeter is the only ecological association that has built up a network of individual certification organizations world-wide. In 1997 Demeter-International was founded for closer co-operation in the legal, economic and spiritual spheres. 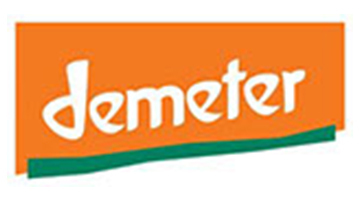 Presently Demeter International has 16 members from Demeter organizations in Europe, America, Africa and New Zealand. Thus Demeter-International represents around 4.200 Demeter producers in 43 countries. 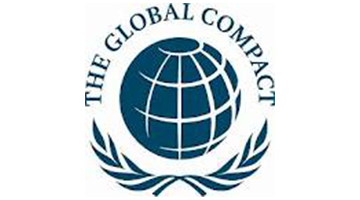 The United Nations Global Compact is a strategic policy initiative for businesses that are committed to aligning their operations and strategies with ten universally accepted principles in the areas of human rights, labor, environment and anti-corruption. By doing so, business, as the primary driver of globalization, can help ensure that markets, commerce, technology and finance advance in ways that benefit economies and societies everywhere. 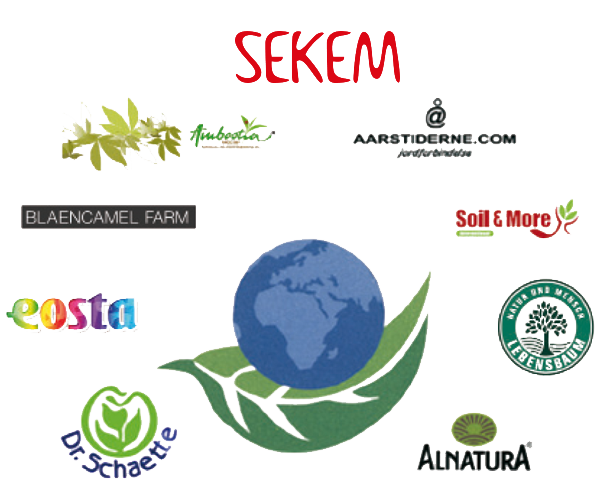 SEKEM joined the Global Compact initiative of the United Nations (UN) in 2003. The company is committed to the ten principles of the UN Global Compact concerning human rights, labor standards, environment protection as well as anti-corruption and their implementation in all business processes. Since its foundation in the year 2000 the UN Global Compact has been and continues to be an international leadership network for business, government, labor and civil society through a common goal: to realize the implementation of the ten UN Global Compact principles in day-to-day business and to enforce broader UN goals, including the Sustainable Development Goals. The World Future Council (WFC) consists of 50 respected personalities from all continents. They represent governments, parliaments, the arts, civil society, science and the business world. Together they form a voice for the rights of future generations. 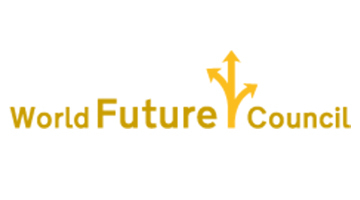 The World Future Council is a charitable foundation reliant on donations. The World Future Council Foundation is a registered charity in Hamburg, Germany where its head office is located. Additionally, we have staff working in Brussels, London, Washington and Johannesburg. The aim of the council is to be an ethical voice for the needs and rights of future life through making politicians aware that they have an ethical responsibility to assess every decision-making process on the basis of how it will affect future generations. In close collaboration with civil society groups, members of parliament, governments, businesses and international organizations the council researches future just policies and legislation. The WFC then advises political decision-makers, offers them tried and tested courses of action and supports them in the concrete implementation of new policies. As an independent non-profit organization with no interest in short-term profit or prestige, and autonomous from governmental and institutional interests, the organization enjoys the highest level of credibility in its political advocacy. In 1996, SEKEM and a group of European trade partners founded the “International Association for Partnership in Ecology and Trade” (IAP). The new initiative had the goal of enhancing cooperation and mutual learning among farmers, manufactur­ers, and distributors from the North and South. In addition, it intended to steadily improve the quality of organic products cultivated in developing countries. Most of the initial members of the group have been working together since 1984 to positively influ­ence the development and the impact of Biodynamic and organic farming practice on a global scale. 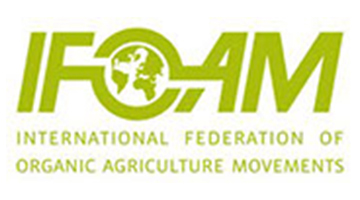 Until today it has developed into a forum for eco­nomic partners who are committed to the holistic approach to the development of organic farming through global partnership. There are currently 13 permanent members in addition to SEKEM from all around the world, represented by senior executive personalities. All are doing or have in the past done business with SEKEM and are committed on cor­porate or personal levels to continue to strengthen organic agriculture. 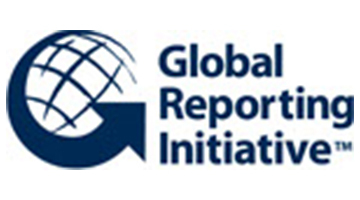 The Global Reporting Initiative (GRI) is a non-profit organization that works towards a sustainable global economy by providing sustainability reporting guidance. GRI has pioneered and developed a comprehensive Sustainability Reporting Framework that is widely used around the world. The Framework enables all organizations to measure and report their economic, environmental, social and governance performance – the four key areas of sustainability. The Reporting Framework – which includes the Reporting Guidelines, Sector Guidelines and other resources – enables greater organizational transparency about economic, environmental, social and governance performance. This transparency and accountability builds stakeholders’ trust in organizations, and can lead to many other benefits. Thousands of organizations, of all sizes and sectors, use GRI’s Framework in order to understand and communicate their sustainability performance. The German non-profit association “Bio-Verbraucher e.V.” creates links between Organic producers, traders and consumers. It cooperates with many other associations, promotes associative cooperation at the regional, national and international levels and is itself a partner of producers and dealers in order to form further associations. Independently and together with other organizations, “Bio-Verbraucher e.V.” represents the interests of Organic consumers in public.